Already thinking of Christmas?? Why not order a Clann Mhuire Jersey straight to your door as a stocking filler??? Don't forget we have an online shop with O'Neills where you can get plenty of Clann Mhuire Club gear delivered directly to your door!! 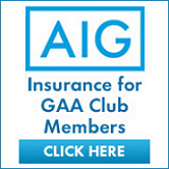 Click on the following link http://www.oneills.com/shop-by-team/gaa/gaa-clubs/ireland/clann-mhuire-clg.html to order gear today!! !